Welcome to "A Patch of Clover". 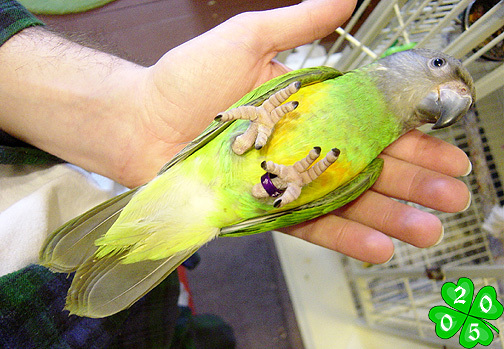 This image gallery is dedicated to our sweetie, Clover - a Poicephalus senegalus, or Senegal Parrot. Clover is a new addition to our growing family. Please enjoy your stay here, and thanks for visiting! Conveniently fits in your hand!